After a Week of Good News in Oregon a Step Backwards…. Over the last week or so the Oregon Fish and Wildlife have been debating if they should kill two wolves believed to have killed livestock in the area. It looks like conversationalist are fighting a losing battle. The state is arguing that by killing the wolves, it will actually help wolf recovery by increasing tolerance by ranchers. The wolf population in Oregon only consists of approximately 14 wolves right now so shooting 2 of them will dramatically dent their numbers. Over the last year and a half there have been 15 documented wolf related cattle deaths in Oregon and apparently the State believes this is enough to warrant the killing of 15% of the wolf population. Keep in mind that there were approximately 51,200 cattle killed in Oregon in 2010 which comes out to .03 of 1 percent. Those numbers seem lopsided don’t they? Looks like politics have already started to harm the population in Oregon, lucky the ESA is still upheld in the State and for now hunting is still illegal. Lets hope it stays that way! 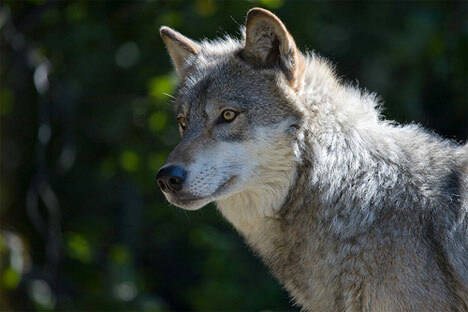 This entry was posted in Education, News and tagged conservation, ESA, Oregon, wildllife, wolf, wolves. Bookmark the permalink.